There are about 2 Lakh policemen in Mumbai. Tasked with the safety of this enormous city, a majority of them don't necessarily have the "cleanest" of vardis. When four such police inspectors are burnt alive in a series of merciless killings, the entire police force is rocked with terror. The media is looking for answers. The public is on the fence over these killings. These crimes reflect Vir as a person. Bold, Calculating, and Unapologetic. He's not scared of killing, or dying. It was clear that he had an agenda. A reason. A drive; behind these deaths and he was far from done. Fearing the next attack, the Commissioner calls upon their best bet to catch Vir. DCP Shivansh is what a proper policeman looks like. Strong, Courageous, Patriotic and most importantly, "Clean." And of course, he's the best at what he does. What follows is a succession of events that will test his Probity to the fullest. He is up against Vir, who is a vigilante and will stop at nothing to complete his mission. This confrontation of epic proportions will take us through the corrupt underbelly of the Financial Capital. Vir and Shivansh are against the same enemy, but they are divided by a fine line. The Law. Shivansh is the "good-guy" protector of the law, whereas Vir wants to take matters into his own hands, disregarding the law. Were these meticulously planned murders just vengeance killings? Or was there order in this chaos? There's a lot at stake. Along with the lives of numerous policemen, the public's faith in the police's capability to keep them safe is also at stake. Will Vir be successful in concluding his twisted message? Or will Shivansh's Integrity and Ethicality become his biggest strength and Vir's biggest weakness? Neha Sharma's sister Aisha features opposite John. The makers wanted to name their film Satyameva Jayate, after Aamir's show. Satyameva Jayate releases in August. Of her debut film Satyameva Jayate, Aisha Sharma had told Mumbai Mirror, "As an outsider in this industry, your choices are important as you don't get a second chance. So, I'd been waiting for the right project and it'll be overwhelming to share screen space with John and Manoj sir." 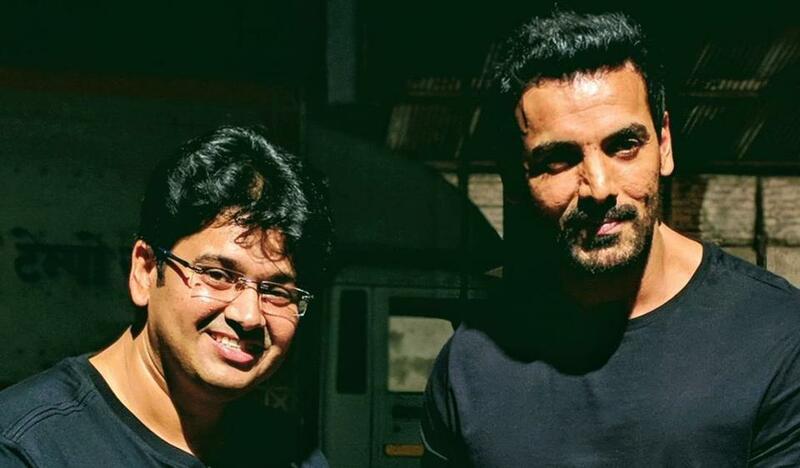 Satyameva Jayate is directed by Milap Milan Zaveri and produced by Bhushan Kumar and Nikkhil Advani. It is expected to hit the screens this Independence Day (August 15).